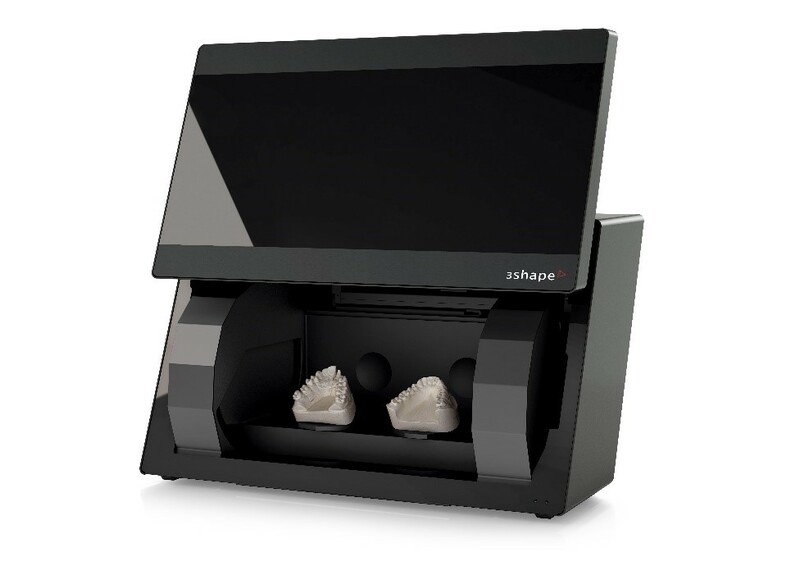 With a longstanding reputation as a leader in the field of extra-oral 3d scanners, 3shape has continued to improve on their designs with each passing generation of scanners that they’ve introduced. 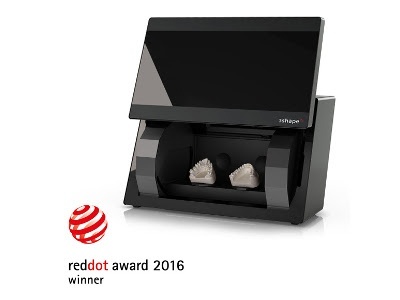 Keeping in mind what technicians really want with each new iteration, they’ve managed to transform what we once considered pretty innovative-into relatively standard features that are simply expected of every 3d scanner released to the dental market today. To separate themselves from the equally-as-capable competition, 3shape has taken a gamble with some new feature additions that have some real potential game-changing power. This is the review of the 3shape D2000 scanner. The most apparent feature of the D2000 is the extra large scanning area. In fact, there’s nothing more accurate to say about the D2000 than it is a big scanner. It’s wider, more spacious, and heavier than most of the 3shape scanners that have come before it. The exception being the D250. The D2000 comes in a space grey color scheme reminiscent of Apple’s iPhones, and features 4 individual 5 megapixel cameras. There are 27 LED lights featuring what 3shape has dubbed their “Blue LED multiline technology”. Pretty much everything you can think of has been upgraded from previous generations and the numbers cranked up to the maximum. Moving up from an older model like the D810 takes a moment to get used to, but it really is worth it. There’s no question this is a 3shape product. It’s really well made, sturdy and high end, even the door closing and opening feels better than it ever has. The status light is integrated into the logo on the door now, which is a really clever design choice. In fact, the D2000 is a Red Dot design winner. On the software side, the improved texture scanning ability fully digitizes models in true living color. Scans coming from the D2000 don’t feel like virtual approximations of the actual model they feel more “authentic” and lifelike somehow. My guess is that is has something to do with the decreased tolerances from 10 microns down to 5 microns; an absolute must for accurate implant bars and long span bridges. All of the core features of scanning have been refined and honed to perfection; Accuracy, details, speed –Everything works straight out of the box without any real need for tweaks. As one of the first companies to really get 3d scanning right, 3shape has really built a reputation for themselves to live up to as a leader in the field. 3shape has delivered on that promise with the core functionality of this scanner. 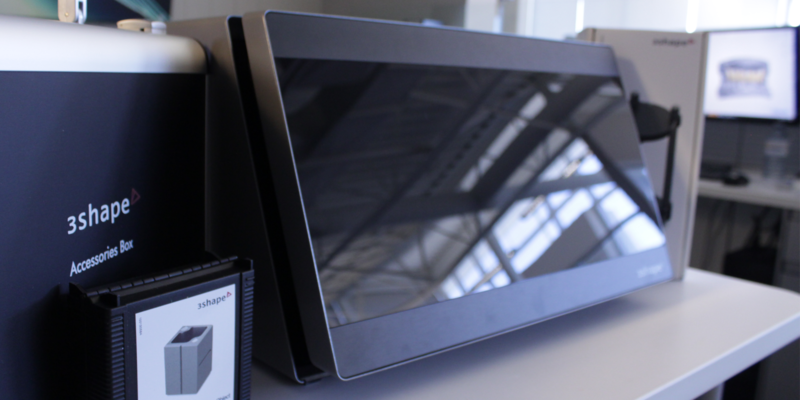 The new ScanSuite offers a versatile and flexible scanning platform to digitize your models. You can seamlessly switch between each step. This gives you the freedom to achieve whatever results you desire, in whatever order you can conceive. It makes so much sense and I couldn’t imagine going back to scanning in the old linear fashion. The inside of the scanner is all about the new double scanning platforms and roomy interior. This is very clearly at the epicenter of what 3shape had in mind when they designed and built this scanner. You really get a sense of how they’ve focused everything else around in this one particular feature. Almost every feature and enhancement is directly related to utilizing the platforms to their fullest extent. The execution of that however, sometimes falls a bit short of expectations. Furthermore, some long standing features have been removed: The option to load an old scan has been take away — although it’s not necessarily a major loss – simply because of how fast the scanner is. The rotating multi-die arm has been removed, and in it’s place a new stationary multi die plate has been introduced. I’ll be honest, I don’t really miss having to re-calibrate the old arm and plate that much. This new addition is quite welcome. Overall, although the features or “gimmicks” are nice to have, the truth is that I could live without them. On a day-to-day production basis I normally DO live without them. The concepts introduced are nice, and I’d really like to see 3shape expand and refine these features in the future iterations. There’s plenty of potential here, they just weren’t fully realized with this release. With it’s new and improved double scanning platforms The D2000 is fast, accurate, and an extremely powerful scanner. 3shape has really built on and improved those core mechanics that they’re so well known for. However, some of the extra “features” introduced with this scanner seem to fall a bit short of expectations. Thanks for reading. If you enjoyed this review, please like, share, and subscribe. For everything else 3shape, and all the latest and greatest in dental technology… stick with dentaltechtips!